Below is a list of Spanish/Latin American dvds with free study links for the films. 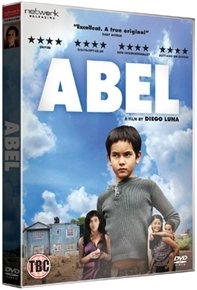 Abel is an unstable child with mental problems who after his father leaves decides that he’s the man of the house, and begins acting like his absent father rather than the youngest child. To the surprise of everyone, adult responsibilities agree with Abel, and the family seems significantly happier with his new personality. But this proves to be short-lived when Abel’s real dad unexpectedly returns, and the two vie for the status of head of the household. A remote Spanish village in the 1940’s a child becomes obsessed by the good-bad monster in the film Frankenstein. Victor Erice’s impressive film cloaks its political message in allegory. Kika, a make-up artist is involved in a web of intrigue. Ken Loach’s moving story of the Spanish Civil War of the 1930s. The fascist General Franco is trying to take control of the country from the recently elected democratic government and the republican loyalists form whatever army they can to stop the uprising. In Liverpool, David, an unemployed man, attends a republican rally against the uprising and eventually heads for Spain as a volunteer. He joins an English speaking section of the militia and is forced to learn all about survival in this brutal war. Mexican thriller about a poor Tijuana salesgirl who dreams of winning the local beauty pageant. However, she becomes embroiled in a nightmare world of organised crime when she witnesses the massacre of American anti-narcotics agents at a nightclub. Realist drama about a woman and her child escaping her abusive husband. .
Spanish actress, writer and director Icíar Bollaín directs this political docu-drama about an international film crew that arrives in rural Bolivia to make a film about Christopher Columbus. However, director Sebastian (Gael Garcia Bernal) and his crew find their project under threat when violent demonstrations break out locally against the corporate ownership of the area’s water rights. The film uses a dual storyline to draw parallels between issues of wealth, ownership and political power both 500 years ago, when Spain first conquered the New World, and today, when corporate giants use their money and power to ride roughshod over the rights of indigenous people.